NGC 7000, also known as the North America Nebula, is a giant emission nebula in the constellation of Cygnus. 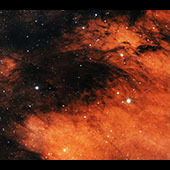 This image shows the eastern part of the nebula, where beautiful dust lanes are visible. The dust is slowly being eroded and blown away by the light from stars embedded in the nebula. 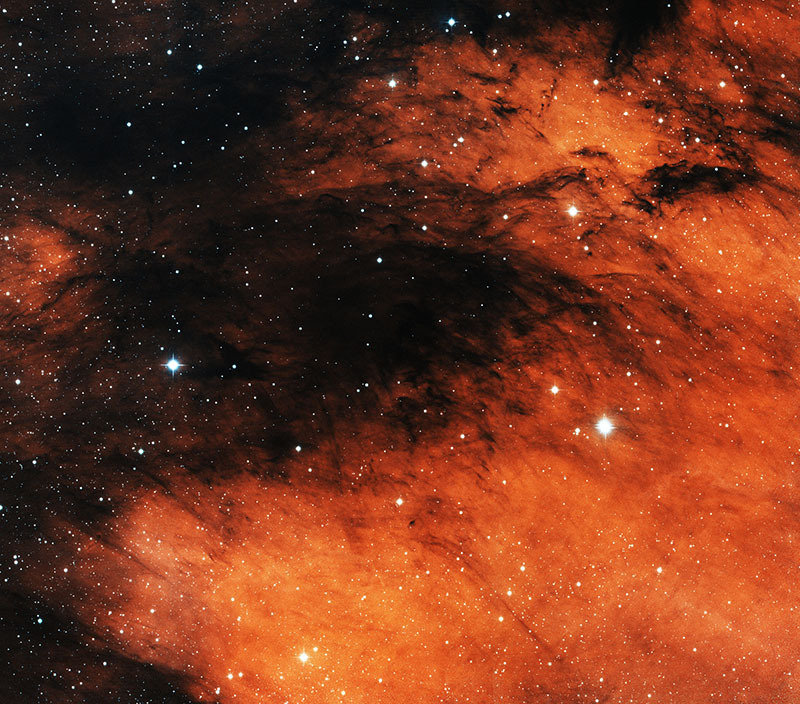 An image of the southern part of the nebula is also available on this website.